In my post about building and running programs in Iron.Io, I needed to switched over to my Ubuntu VM to build linux versions of my test programs locally. I love the ability to have Ubuntu available to me for building and testing my code. However, if I can stay on the Mac side it is better. 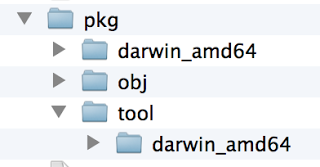 I have wanted to learn how to cross compile my Go programs for the two platforms I use, darwin/amd64 and linux/amd64. This way I could create final builds of my programs and publish everything from my Mac OS. After a couple of hours I am finally able to do this. If you don’t have the need to cross compile your code then I recommend you stick with the traditional distribution packages and installs for Go. 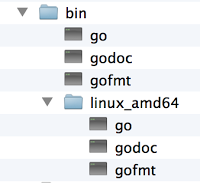 If this is something you need, then it all starts with downloading the current release of the Go source code. The Go source code is stored in a DVCS called Github and is located on github.com/golang/go. The first thing you need to do is install Git if you don’t already have it. Receiving objects: 100% (194730⁄194730), 55.07 MiB | 2.92 MiB/s, done. Resolving deltas: 100% (161032⁄161032), done. 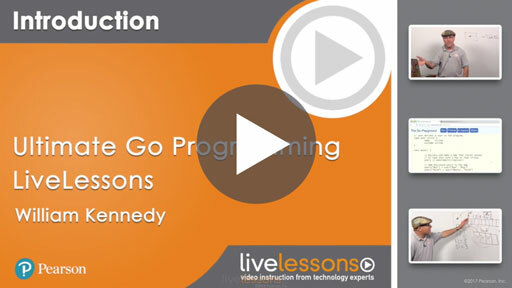 Now you need to build the Go code for the targets you need. 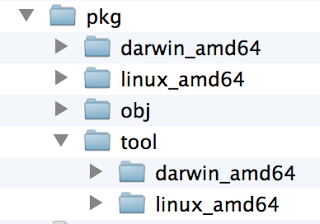 For now just build darwin/amd64 and linux/amd64. Click the Install button for the Command Line Tools. Once that is done try building the Go code again. 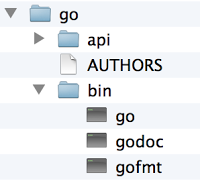 You have the go, godoc and gofmt tools and all the package related libraries and tools. Next you need to fix your PATH to point to the bin folder so you can start using the tools. You may want to set that in .bashrc or .bash_profile file from inside the $HOME directory. The file command tells us what type of file our program is. It is certainly a Mac executable file. You need to change either one or both of the OS/ARCH environment variables to point to the target platform and architecture. Then you can build the code. After the build you can see the file command is reporting the program is a linux executable. Once you finish building Go for the targets you want, you will want to install these Go tools for the default target. If you are performing an update be sure to remove the pkg folder from your GOPATH. These archive files will no longer be valid. Finally re-build the tools. Before doing so, remove it is a good idea to remove the pkg folder from your GOPATH. You may want to remove everything from the bin folder as well and go get them to re-build and install. Mitchell Hashimoto built this great tool called gox. This tool makes it real easy to build your program for all the different targets without the need to manually change the GOARCH and GOOS environment variables.